In the seventh of his articles on the Search for Truth occult writer and theologian, John Temple, continues his investigations of the hidden meaning in the KJV Bible. In this investigation I propose to examine the origins and esoteric meaning of the Book of Proverbs in the Old Testament. As in my previous investigations of the hidden wisdom in the Bible, I would like to reassure the reader that he or she will lose nothing of value by following my discourse. On the contrary, what I shall put before you may increase your knowledge of many different subjects, regardless of whether you are a Christian, a Pagan, or anything else under the Sun. Proverbs is the third of five books in the Old Testament that we may rightly call 'wisdom literature.' The first of these books is Job, which is a rich allegory of the tests and trials of initiation. The second is Psalms, many of which contain the greatest occult secrets. Proverbs comes next and is followed by Ecclesiastes and the Song of Solomon. All five books share much in common with the wisdom literature of ancient Egypt, Proverbs being no exception, as I discuss in my afterword. Before we consider the text itself, which, as usual is that of the KJV, I propose to give some attention to the problem of authorship and provenance to discover who wrote the book, why it was written and for whom. Chapter one begins with an attribution to "Solomon, the son of David, king of Israel." This is repeated in Chapter 10 which begins with the words "The proverbs of Solomon", and in Chapter 25 which proclaims "These are also proverbs of Solomon, which the men of Hezekiah king of Judah copied out." But Agur is given as the author of Chapter 30: "The words of Agur the son of Jakeh, even the prophecy: the man spake unto Ithiel, even unto Ithiel and Ucal." Finally, the last chapter is attributed to Lemuel: "The words of king Lemuel, the prophecy that his mother taught him." The accepted view that Solomon was the author of the book has been challenged by many scholars during the past 100 years. In 1923, the Egyptologist, E. A. Wallis Budge noted the close resemblance between Proverbs and the Teaching of Amen-em-Apt. A year later, the renowned German Egyptologist, Adolf Erman, published an extensive list of correspondences between the maxims of Amen-em-Apt and the Book of Proverbs. We shall examine some of these correspondences later. By the 1960s there was a virtual consensus among scholars in support of the priority of the Egyptian wisdom literature and its influence on Proverbs. In response to this consensus, the compilers of the Catholic New American Bible, working in the 1970's and 80's, even went so far as to suggest that Proverbs 22:19 be emended from "I have made known to you this day, even to you" to read "I make known to you the words of Amen-em-Apt"! However, so far as I am aware, this radical suggestion never made it into print! If Solomon was not the author, who was? Let us consider Agur first, whose name is given as the author of Chapter 30. Many scholars believe it is simply a proper name, but is it? Now, Agur means "collector or "gatherer" and Jakeh means "pious" or "obedient". The word rendered as 'prophecy' in the KJV is a translation of the Hebrew word massâ, which also means 'utterance' or 'message'. If we put all this together, the attribution might read "The message of a collector, the son of the pious", which is exactly what we should expect to find heading a moral teaching. But what of the mysterious 'Ithiel and Ucal', to whom 'Agur' gave his message? The name Ucal occurs nowhere else in the Old Testament; Ithiel is found only once, in Nehemiah 11:7, as the name of a Benjamite. As this tribe fought against Israel and were soundly beaten (Judges 20), a Benjamite seems a most unlikely candidate for instruction! However, if we regard these names as equally symbolical, we find that they are a perfect description of the moral character of those whom the author is addressing. Ithiel means "God with me" whilst Ucal means "zealous", "strong" and "perfect", reminding us of the same word used by the Apostle Paul when he says "we speak wisdom among them that are perfect" (1 Corinthians 2:6), meaning an initiate of the Mysteries. This also explains why Ithiel is repeated twice—"the man spake unto Ithiel, even unto Ithiel..."—which is otherwise inexplicable in the context of the verse. For unless God is with us, in the sense that our hearts and minds are open to His Truth, the teachings of the Wise will be wasted on us. The repetition of Ithiel may also be a concealed reference to the twice-born, or initiated, such as we find in the Brâhmanical teachings of Hinduism. That this is the correct interpretation we find confirmed in Chapter 31, which, as I mentioned earlier, begins with the phrase "The words of king Lemuel, the prophecy that his mother taught him." Apart from being a proper name, Lemu-El means "belonging to God", whilst 'prophecy' as we have seen, means "message" or "utterance". To the best of my knowledge no theologian has ever questioned the inclusion of Lemuel's 'mother' in this verse, yet the meaning is clear to those of us who know that Wisdom was a feminine principle from the beginning in Judaism, Christianity and ancient Egypt. So we may safely transliterate this verse as "The Word belonging to God, that Wisdom taught him." But before we consider that wisdom, let us conclude our survey of the origins of the book and its authorship. You may ask at this point why the names of the various authors given in the book were chosen at all. Why not simply use the symbolical phrases we have uncovered? The answer can be found in several articles on this website, in which the authors state that people mark not what is written, but who wrote it. By attributing the authorship of the book to such a famous personage as Solomon its survival was assured, otherwise it may well have suffered the same fate as the many wisdom teachings which have been consigned to the Apocrypha, or lost completely. In adopting this expedient, the unknown compilers of Proverbs were simply following the example of their Egyptian predecessors, who attributed their wisdom literature to the famous men of their times, and for the same reasons. From the foregoing it is reasonable to conclude that Proverbs is the work of several hands, whose names are lost to us, if they were ever known, which I personally doubt, for the Wise do not crave fame. When the book was written remains a mystery, though we may conjecture from its close similarity to the wisdom teachings of ancient Egypt that it was compiled when these were in danger of being lost to the world forever, possibly during the 4th to 3rd centuries B.C. when the Ptolemies conquered Egypt. This also answers the question as to why the book was written and for whom. As we have seen, the wisdom literature of ancient Egypt predates the Bible by many millennia. The implications of this have not been lost upon the Church, which continues to quietly ignore this most inconvenient elephant in the cathedral of canonical provenance! One cannot altogether blame the Clergy for their silence, for were the depredations and impostures of their forefathers to be widely accepted the churches would be even emptier than they are now, and I am not at all sure that would be a good thing. So let us be charitable, as Proverbs advise us to be, and leaving somnolent ecclesiastical dogs to their slumbers, let us examine some of the similarities between the book and the wisdom teachings of ancient Egypt. For the sake of brevity, I have not provided complete references for the Egyptian maxims, only the title of the text from which I have taken them. Interested readers can easily look these up for themselves, whilst those who are not so inclined may thank me for not turning this article into a catalogue! "A talebearer revealeth secrets: but he that is of a faithful spirit concealeth the matter." (Proverbs 11:13). "Whether thou hearest what is good or what is bad, treat the report as no affair of thine and hearken not to it. If thou must talk I beseech thee to tell people only what is good upon the earth and as for the reports of evil, hide them in the depths of thy heart." (Teaching of Amen-em-Apt). "Hide what is said in thine house, act as one who is deaf" (Teaching of Ani). "Do not recount a calumny; thou shouldst not even listen to one" (Teaching of Ptah-Hetep). If this sound advice were widely adopted and followed how much more profitable and pleasant our lives would be! "A good name is rather to be chosen than great riches, and loving favour rather than silver and gold" (Proverbs 22:1). We find the same sentiments expressed in the Teaching of Ptah-Hetep: "Good character is more than friends or riches. It fills the river from bank to bank and is greater than any man's possessions. Riches pass from one man to another and never remain long in one place, but a good character endures forever and is remembered in the hearts of men." "Bow down thine ear, and hear the words of the wise, and apply thine heart unto my knowledge. For it is a pleasant thing if thou keep them within thee; they shall withal be fitted in thy lips." (Proverbs 22:17-18). The Teaching of Amen-em-Apt tells us: "Incline thine ear and hear my words, and apply thine heart to knowledge; it is good for thee to place them in thine heart that they may act as a peg upon thy tongue." "Rob not the poor, because he is poor: neither oppress the afflicted in the gate:" (Proverbs 22:22). "Beware of robbing the poor, and oppressing the afflicted" (Teaching of Amen-em-Apt). "Make no friendship with an angry man; and with a furious man thou shalt not go. Lest thou learn his ways, and get a snare to thy soul." (Proverbs 22:24-5). "Associate not with a passionate man, Nor approach him for conversation; Leap not to cleave to such an one that terror carry thee not away" (Teaching of Amen-em-Apt). "Boast not thyself of tomorrow; for thou knowest not what a day may bring forth" (Proverbs 27:1). "Say not 'Today is even as tomorrow'. Tomorrow has yet to come, today has yet to pass away" (Teaching of Amen-em-Apt). "When thou sittest to eat with a ruler, consider diligently what is before thee: And put a knife to thy throat, if thou be a man given to appetite. Be not desirous of his dainties: for they are deceitful meat." (Proverbs 23:1-3). "If thou sittest at table with a man who is greater than thyself, accept what he gives thee with humility. Look not at that which he has before him, but set thy gaze upon that which is before thee" (Teaching of Ptah-Hetep). "Eat not bread in the presence of a ruler, And lunge not forward with thy mouth before a governor. Look upon the dish that is before thee and let that alone suffice for thy need" (Teaching of Amen-em-Apt). "Labour not to be rich: cease from thine own wisdom. Wilt thou set thine eyes upon that which is not? For riches certainly make themselves wings; they fly away as an eagle toward heaven" (Proverbs 23:4-5). "Toil not after riches; If stolen goods are brought to thee, they remain not over night with thee. They have made themselves wings like geese and have flown into the heavens" (Teaching of Amen-em-Apt). "Wealth cometh not of itself, but from God, who alone ordains who shall rise and who shall fall. Those who amass wealth for themselves without thought for their brothers shall lose all they possess" (Teaching of Ptah-Hetep). "Remove not the old landmark; and enter not into the fields of the fatherless" (Proverbs 23:10). "Remove not the landmark from the bounds of the field and violate not the widow's boundary" (Teaching of Amen-em-Apt). "Apply thine heart unto instruction and thine ears to the words of knowledge" (Proverbs 23:12). "Give thine ears, hear the words that are said, give thine heart to interpret them" (Teaching of Amen-em-Apt). "The son who hearkens is like unto a Follower of Horus, and when he has heard good comes to him. When he is old and has attained the state when reverence is paid to him, he tells his children the things that were told to him, and so makes new the instruction of his father. Every man instructs as he has been instructed, and tells his children what he has been told, and they tell it again to their children" (Teaching of Ptah-Hetep). "Withhold not good from them to whom it is due, when it is in the power of thine hand to do it." (Proverbs 3:27). "Do not refuse your hand to one whom you do not know who comes to you in mortal poverty" (Teaching of Amen-em-Apt). "To deliver thee from the strange woman, even from the stranger which flattereth with her words" (Proverbs 2:16). "Beware of the woman from abroad, who is not known in her town" (Teaching of Ani). "As the cold of snow in the time of harvest, so is a faithful messenger to them that send him; For he refresheth the soul of his masters" (Proverbs 25:13). "If thou art in the position of a man who is treated with confidence, whom one nobleman sends to another on business, conduct the business in a right and fitting manner. Perform the mission according to what he says to thee" (Teaching of Ptah-Hetep). "If an official sends you on an errand, deliver it as he said it. Do not take from it or add to it. He who leaves a message alone produces joy" (Teaching of Kheti). This small selection must suffice to demonstrate the many parallels between Proverbs and the wisdom literature of Egypt. Before we conclude this review it is worth pointing out that the word 'son' occurs no less than 48 times in the Book of Proverbs, generally as a synonym for the reader who is referred to as "my son." We find the same convention adopted by Ptah-Hetep in his teachings, as well as in many other Egyptian moral teachings. This is no coincidence, for the True Teacher is the 'father' of his pupil who is rightly styled his 'son' in the mystical writings of both West and East, being emblematical of the relationship betwixt God and man, for whom the teacher, if he be worthy of that rank and honour, stands in loco parentis to his charge. Let us now sit at the feet of the authors of this sublime book, no matter who they were, and give thanks to God for the Wisdom that it contains, no matter where it originated, or when, beginning with Chapter 8, which sums up the quest for Wisdom in a few lines. "Unto you, O men, I call; and my voice is to the sons of man. They are all plain to him that understandeth, and right to them that find knowledge." The first thing we note is the emphasis on simplicity. For the great truths of Life are simple, as all the great teachers tell us. The word 'simple' occurs 14 times in Proverbs, affirming the importance the authors attached to it. Today, the word in its common usage is often a synonym for stupidity and mental deficiency, but if we consult any good dictionary, something of the true meaning the authors intended to convey, becomes apparent. "Not elaborate or artificial. Not ornate or luxurious; unadorned, unaffected, unassuming, modest." All these qualities are needful if we wish to obtain the smallest glimmer of truth from the vast ocean of Wisdom that lies all around us in plain sight, in books, in the woods and fields, and written upon the starry vault of the Heavens in mystic characters only the simple in heart and mind can read. The dictionary goes on to tell us that simple means "free of deceit or guile", and, most importantly from our point of view "free of secondary complications." The greatest primary complication that bars the way to Truth is our own unaided intellect, which, if not illuminated by the guiding light of the Higher Self or Mind, runs around in mental circles, never getting anywhere. A secondary complication is the reliance we place upon the opinions of others, especially the opinions of those we have been taught to regard as authorities and specialists in their own fields, as you can read in our Astral Conversations series of articles. But opinion is not truth, neither is intellectual speculation wisdom. Wisdom, as so many of the verses of Proverbs tell us, comes from God, not man. It is up to us to listen, and the best way to do that is to be simple in heart and mind. Let us have a brief look at some of the more obscure verses from Proverbs to see what good things we can discover in them that are not apparent on the surface. "The sacrifice of the wicked is an abomination to the Lord: but the prayer of the upright is his delight" (Proverbs 15:8). To sacrifice a thing, whether it be our thoughts, deeds or possessions, is to give freely to another at some cost to ourselves. Charity comes under this head, if it be real charity and not merely the giving of something we can easily afford, to make us feel better. So does selfless prayer for and on behalf of the general good of others. It will then be clear that a 'wicked' sacrifice is anything done or given away with a selfish motive in mind. "The spirit of man is the candle of the Lord, searching all the inward parts of the belly" (Proverbs 20:27). This verse does not, as one of my students suggested many years ago, predict the discovery of x-rays! But it does demonstrate that he was thinking! The word 'belly' occurs frequently in both the Bible and the wisdom literature of the ancient Egyptians, and in both cases it is often (but not always) a synonym for our old friend, the lower mind or self and its grosser appetites and passions. Once we know this, the meaning of this verse becomes clear, for only the Higher Mind (which is the 'candle of the Lord' in us), is capable of searching the 'inward parts' of any thing; the lower mind sees only the exterior. Socrates stated the same truth when he said: "Man, know thyself." "He that hath no rule over his own spirit is like a city that is broken down, and without walls" (Proverbs 25:28). 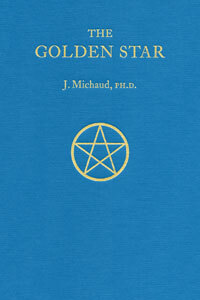 The first and most important step on the path to the Light is self-control, and this is what this verse advocates, for unless we learn to control the turbulent passions and wandering thoughts of the lower mind, it is impossible to make any progress in occult studies, as the authors of this website discuss in their article on Inner Peace through applied wisdom. We find the same wise advice given in the Oera Linda Book: "Prosperity awaits the free. Though him only can I recognise as free who is neither a slave to another nor to himself." "Where no wood is, there the fire goeth out: so where there is no talebearer, the strife ceaseth" (Proverbs 26:20). This is almost the same as Pythagoras' maxim not to stir, or poke a fire with a stick, yet most of us have been guilty of doing just that at some time and have been 'burned' for our foolishness. But this verse has a deeper meaning too, for it tells us that the best way to overcome the passions and desires of the lower mind and body is not to feed them. Obvious, when we think about it, but how many do? If we can achieve this, if only to a limited extent, so will the 'strife' within us cease, and we will enjoy that inner peace which is surely the goal of every sincere seeker after truth and wisdom. "Who hath ascended up into heaven, or descended? who hath gathered the wind in his fists? who hath bound the waters in a garment? who hath established all the ends of the earth? what is his name, and what is his son's name, if thou canst tell?" (Proverbs 30:4). There are too many good things in this verse to discuss them all, but perhaps the most important is humility. For without humility we can learn nothing, for our own intellectual pride bars the way to truth. As we might expect, some of the most obscure verses in the book which the worldly-wise stumble over, yield the greatest truths; But only to the simple! One of the best examples of this is the beginning of Chapter 9, verses 1-5. One could easily write a book upon the hidden meanings in these verses, and I know of one occultist who did just that in an essay. Unfortunately, this has never been published and survives only in a manuscript in my possession, which we will consider shortly. But, ere we do so, let us have a look at the verses themselves. Come, eat of my bread, and drink of the wine which I have mingled." 'House' has many hidden possible meanings. It may refer to the 'house' of the Kosmos itself, which 'Wisdom' has built, or brought forth. It may also refer to man, who is also a 'house' that contains the spirit of God, to the earth, and to the houses, or realms that surround it. Those who are familiar with the teachings of H. P. Blavatsky will recognise the seven rays in the 'seven pillars' which Wisdom has 'hewn out.' 'Beasts' refers primarily to the lower mind or self and its passions and desires, which need to be 'killed', or more properly, controlled, if we are to have any glimpse of the great truths of life. 'Wine' has many meanings, but is most often employed as a synonym for wisdom in both the Bible and the Egyptian wisdom teachings. To say any more would deprive my readers of the benefits of discovering the many truths in these verses for themselves, for as Proverbs 25:2 tells us: "It is the glory of God to conceal a thing: but the honour of kings is to search out a matter". We hear the same wise advice from the lips of Ptah-Hetep: "How beautiful is it to see a son searching into the Teaching of his father." Now that you know who that 'father' is and the 'son', the meaning of this maxim is clear. I would add that the 'kings' mentioned in this proverb are, of course, the Higher Selves of the Wise, not any earthly rulers. Now, let us listen to the author of the essay mentioned earlier, and hear what he has to say about Chapter 9, verses 1-5 of the book. "Wisdom may rightly be termed the knowledge of the One Thing that truly is; beyond both spirit and matter, for she transcends them as the Sun transcends the Moon. She is the brightness of the everlasting Light, the pure mirror of the Power of God and the shining image of His Goodness. "By Wisdom God made the Heaven, and through Understanding has he established the earth, and in man was their light made manifest, and upon earth was its reflection cast. For man is the living image of God and of his Goodness; the child of Wisdom and the offspring of Love. Therefore has she built her House in him, and they are one; man and Wisdom; Wisdom and man. Her dwelling is like a pure flame lit at the glorious Fire of the Almighty, which is hidden in the hearts of men and concealed beneath Nature's beauteous veil, behind which her eternal Laws and Powers move in the service of their secret mistress—Wisdom. "For Love is the operation of Wisdom and she the cause that Love is. She generates a love for all things for the goodness that is in them; and her true love is the wisdom to understand the nature of every thing made manifest or hidden, Above or Below. In man are these wonders most evident, and in him lies the strength of her Powers to penetrate all things by the operation of her moving Love. "Her seven pillars are seven shining rays ascending to her seven firstborn Sons, the Lords of Light and Love Divine; and each is a Mystery and a Path which her children must enter before they return home. But each pillar is also a Realm and a Race; a World and a Star, evolving from depth to height in magnificent spirals of eternal motion. And above each pillar's radiant crown there sits a mighty Lord in loving watchfulness. "Before her house may be established, man must tame and subdue the unruly members which would close his gates against her. For they, being brutish, are not mindful of her goodness, and her Light is darkness to them. But first she will try him with her holy Laws, and test the sincerity of his heart with her discipline until the beast in him is overcome and quietened. "Then, in that stillness, will she lodge within his mind, and his heart will be comforted. Her Light shall be a crown of glory to him, and all her secrets, his. The wine of her Truth will be mingled with his; her peace will rest in him; his power in her; and their secret Love shall unite them in everlastingness. "For she has provided the table of his Higher Mind with the keys of knowledge and the tools of understanding, and placed signs and wonders in Heaven and on Earth to lead him to her side. Not least the maidens of her heart; the teachers of Goodness and Masters of Peace whom she hath sent to earth to guide her erring children home. "But her Table is also the seven-fold Earth, above and below; and her maidens are the children she has sent to till the soil of experience and gather the harvest of understanding, that they might become worthy to obtain her kingdom and inherit her glory. "Then let the innocent hearken unto her voice which is hidden in the high places of their hearts and minds, and follow her ways which are pure ways, and serve her in the simplicity of good deeds and loving thoughts. With long life will she reward such faithful ones and with inner Peace will she satisfy them. "But those who are thirsty for knowledge and whose hearts would comprehend her innermost secrets must travel a narrower way leading to the straight gate of initiation into her Divine Mysteries. Yet he who is found worthy may enter therein, eating freely of the bread of wise instruction and drinking the wine of her Truth which she has prepared for those that love her." With these inspiring and encouraging words from our anonymous author, I must bring this investigation to an end, hoping that it has been as enjoyable for you to read it as it has been for me to research and write it. © Copyright John Temple & occult-mysteries.org. Article added 1 June 2016. In this afterword, the author has selected a few maxims from the Teaching of Ptah-Hetep to reveal something of the hidden meaning contained in them. The Teaching of Ptah-Hetep (also written 'Ptahhotep') is a collection of maxims attributed to Ptah-Hetep, First Minister (or 'Vizier') under King Assa (also written 'Isesi'), who flourished during the Fifth Dynasty, some 6,000 years ago. The word we translate as 'teaching' was 'Sabait' in ancient Egyptian, meaning 'words of the wise', and so they are, as we shall see. The work survives in several incomplete papyri, the most well-known of which is the 'Prisse Papyrus', named after the French Egyptologist, Prisse d'Avennes, who discovered it. There are considerable differences between the Prisse Papyrus and the other copies which have come down to us, all of which contain errors and lacunae. The authors of this website, one of whom is a trained Egyptologist, have rectified these deficiencies, basing their emendations upon their knowledge of the inner meaning of Egyptian hieroglyphs and the Divine Mysteries. For these reasons, this translation differs in many particulars from the various versions to be found in books and on the Internet. The judicious reader should bear in mind that the Teaching of Ptah-Hetep, like the other wisdom teachings of ancient Egypt, such as the Teaching of Amen-em-apt, the Instructions of Kagemna and the Book of the Dead, were never intended for public consumption, but only for the learned nobility and the priesthood. Moreover, this body of sacred literature was capable of three levels of interpretation; the literal or obvious, intended for the laity; the symbolical and allegorical, intended for those who had been trained to decipher the hidden sense behind the words; and thirdly, for the highest ranks of the priesthood—the great Initiates and Sages—who alone knew the inmost meaning of the texts. It is my firm conviction, shared by the authors of this website that such teachings as those of Ptah-Hetep are the remnants of a vast body of sacred literature which once formed an important part of the curriculum of the Mystery Schools of ancient Egypt. It was by studying and meditating upon such teachings that the students in these schools learned the great Truths of Life and how to apply them. Sadly, most of this literature has been lost through the depredations of the many invaders of Egypt over the last two millennia, culminating in the burning of the great library of Alexandria, which was the last repository of all that then remained of the written wisdom of Egypt. Nonetheless, what we do have, gives us a flavour of the high morality, learning and practical wisdom which sustained the Egyptian civilisation for longer than any other in history. Wisdom which is just as applicable today as it was when it was set down thousands of years ago. I have selected just a few of the 30-odd maxims which are contained within the Teaching of Ptah-Hetep which best convey the practical nature of the wisdom of the ancient Egyptian Sages and their deep understanding of the human mind and heart, which have not changed much, if at all, in 6000 years! "Magnify not thy heart because thou hast knowledge, neither fill thy heart with pride because thou hast understanding. Hold converse with the ignorant as well as the wise. No limit has been set to art, and no artist is fully master of his craft. Fine speech is hidden deeper than mother-of-emerald stone, and yet it is to be found among the women who grind flour at the mill." I have endeavoured to follow this excellent advice all my life and encouraged my readers to do the same in the other articles in this series. For truth is found in the oddest places, often when we least expect it. Nor, as Ptah-Hetep tells us, is there ever any end to learning, here on earth, or elsewhere in God's Universe. Moreover, however wise we may think we are, and I make no claims in that direction, there are always those wiser than us, if we are prepared to learn and listen. In that connection I am reminded of the fact that God gave us two ears, two eyes and two nostrils, but only one tongue! Let us see what Ptah-Hetep says about this in his Teaching. "To hear is the best of all qualities and beautiful affection springs into being thereby. How beautiful is it to see a son searching into the Teaching of his father; through this act he will attain to a good old age. The man who loves God will hear, but he whom God hates will not hear. Behold, it is the heart of a man that makes its possessor to hear or not to hear. The heart of a man is life, strength and health to him. Behold, he who has heard hears the word, and he who loves to hear is he who will speak goodly words. How beautiful it is when a son hearkens to his father! He hath balance in his mind and body, and is honoured by his father!" The person, on the other hand, who will not and does not listen, will never amount to anything. Ptah-Hetep tells us that the fool "looks upon the wise as one who knows nothing, and the qualities of virtue and excellence he considers to be defects. He does every kind of thing that is reprehensible, and these cause him to be abused daily. He lives upon that through which men die, and his bread is the corn of filth and abomination." This is interesting, for 'that through which men die' reminds us of the wisdom of this world mentioned by Paul in his letter to the Corinthians: "For the wisdom of this world is foolishness with God." If we follow that wisdom, as so many sadly do, whether it comes from the 'movers and shakers' of this world, from scientists, politicians, or Youtube videos, we truly die, having learned nothing that will profit our Higher selves in this life, or the greater life to come. "Follow the calling of thy heart as long as thou livest, and do not do more than is necessary to maintain thy estate. Waste not the time in which thou canst follow thy heart, for it is a hateful thing to the soul to deny its voice. Weary not thyself out concerning the affairs of the day, nor be anxious overmuch about thy house and estate; what will be will be, but time spent following thy heart is never lost." How true these words are! Do we not all know men and women who literally work themselves to death to build up a great business, or to acquire wealth or fame? What a fruitless waste of time it all is if it only profits us, for we surely cannot take it with us. Ptah-Hetep has some good advice about lust which we can all profit by. "If thou wishest to maintain a permanent friendship in the house to which thou art in the habit of going, whether as master, or whether as brother, or whether as friend, or in fact in any place to which thou hast entry, beware of associating with the women. The place which they frequent is not good. The man who is not prudent follows after them. A thousand men seeking what is beautiful are destroyed by them. A man is made a fool of by their shining limbs, but they turn into things that are harder than quartzite sandstone. The pleasure is short, and passeth like a dream, and a man at the end thereof finds death through knowing it." It goes without saying that what's sauce for the goose is good for the gander too, for women are no less immune from the temptations of a well-formed body than men! Shakespeare gives much the same advice about lust in Sonnet CXXIX, when he tells us to: "shun the heaven that leads men to this hell." "Incite not terror among the people, for it effects nothing; it is what God has decreed that cometh to pass." Politicians and would-be politicians please take note! The following maxims of Ptah-Hetep all give practical advice about living that require little or no comment. "Be not covetous when a division of property is made, and be not greedy, and what is thy due shall come to thee. Be not avaricious in thy dealings with thy kinsfolk. The prayer of the long-suffering man is greater than force, even though he be of no account among the people of his own time, and is destitute of the gifts of speech. Even a little avarice about matters of property will arouse hostility in the mildest of men." "If thou wouldst be wise and prosperous establish thyself in the honourable estate of marriage. Love thy wife wholly and rightly. Fill her belly and clothe her back; oil for anointing is the medicine for her limbs. Make her heart to rejoice as long as thou livest; she is a profitable pasture for her lord. Enter not into disputes with her, for she will withdraw herself under duress and thou shalt lose both her trust and her love. Make her to prosper permanently in thy house. 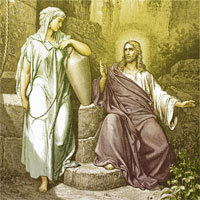 If thou art hostile to her she will become like unto a well which retreateth into itself." "If thou wouldst be strong and respected of men, practise understanding and gentleness of speech. Command not except when thou canst guide; abuse brings a man to calamity. Be not haughty in thy heart, lest it be humbled. Keep not silence entirely, but take care as to what thou sayest and when thou sayest it. Let thy answers be concise and to the point. Put away all haste and unseemliness of speech so that thou mayest control thyself. Subdue the heated emotions of an ardent mind. The man who walks softly fashions his path aright." "If thou hast become great, having once been lowly, and if thou hast acquired wealth, having once been destitute in the city where thou art known, forget not thy former condition. Be not attached to thy goods, which only come to thee as gifts of God. Thou wouldst not be superior to any other man if what has happened to thee had happened to him." "If thou seekest the friendship of a man, ask not for it, but go to his house and pass the time with him alone, so that he may not be able to make his attitude to thee unpleasant. Talk wisely to him after a certain period. Discover his mind by conversing with him. If a subject arises about something that he has seen thee do, or if he does something that makes thee to be ashamed, hold thy peace and remain friendly to him; browbeat him not. Answer him with soft and conciliatory words. 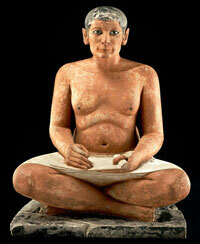 Do not abandon him and do not judge him for every man reapeth what he hath sown according to the ordinances of Maat." 'Maat' is an Egyptian word for which we have no exact equivalent which encapsulates all we understand by the words 'justice', 'righteousness', 'truth', 'balance' and more. The following maxim may seem rather outdated, given that few of us possess any servants nowadays, although I know some people who employ Eastern European cleaners, gardeners and nannies whom they treat rather less kindly than the ancient Egyptians treated their servants! "Satisfy thy servants whom thou trustest with thy possessions, so that they may feel as if they had been rewarded by God. If a man is niggardly in satisfying his trusted servants, he is declared to be a thievish person of no account whom it is justifiable to defraud and deceive. No man knoweth what a day may bring forth when he meditates in the morning. It is the Master who causeth peace to reign in his house, and his peace shall pacify his servants in the hour when trouble cometh upon him. Woe unto the house where the servants rule their Master, for when trouble cometh it will be the servants who announce it, to the ruin of both servants and Master." Some readers will have noted that this maxim has a deeper meaning too. For the lower mind is a 'servant' we all possess, whether we are aware of it or not. We may even consider its various functions and duties to constitute a whole houseful of 'servants' for which we, that is, our Higher Self, is responsible. And woe indeed, as Ptah-Hetep tells us, when the servants have the upper hand in our house of the spirit! I would like to end this all too brief survey of the Teaching of Ptah-Hetep with a maxim that I am sure you will all agree with. "Let thy face shine with cheerfulness as long as thou livest. When there comes forth from the storehouse one of those who went in at the distribution of bread and his face is set in a frown, he makes known the emptiness of his belly, and he becomes an enemy, being unsatisfied. Do not let any man approach thee and find thee with a gloomy face. A kindly smile is a better remembrance in the hearts of men than a gloomy frown." In this peroration to our article on Inner Peace through applied Wisdom, we examine the Teaching of Amen-em-apt, one of the best examples of the Wisdom literature of Egypt. An occult investigation of the human body and some of its mysteries as they were known to the ancient Egyptians compared and contrasted with the discoveries and theories of material science. An appreciation of the Kybalion, and a short study of the hermetic Wisdom of ancient Egypt.